In 1996 Suzuki released the DR650SE to enthusiastic Australian punters. The bike is still around today and it’s more popular than ever. 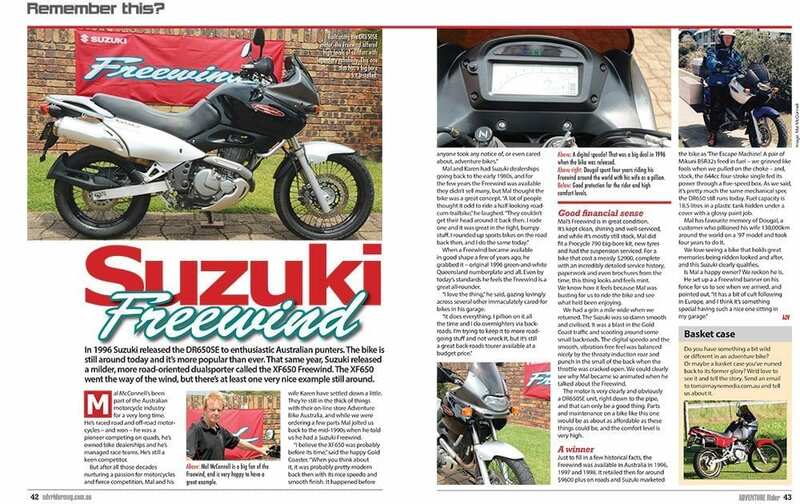 That same year, Suzuki released a milder, more road-oriented dualsporter called the XF650 Freewind. The XF650 went the way of the wind, but there’s at least one very nice example still around. Mal McConnell’s been part of the Australian motorcycle industry for a very long time. He’s raced road and off-road motorcycles – and won – he was a pioneer competing on quads, he’s owned bike dealerships and he’s managed race teams. He’s still a keen competitor. But after all those decades nurturing a passion for motorcycles and fierce competition, Mal and his wife Karen have settled down a little. 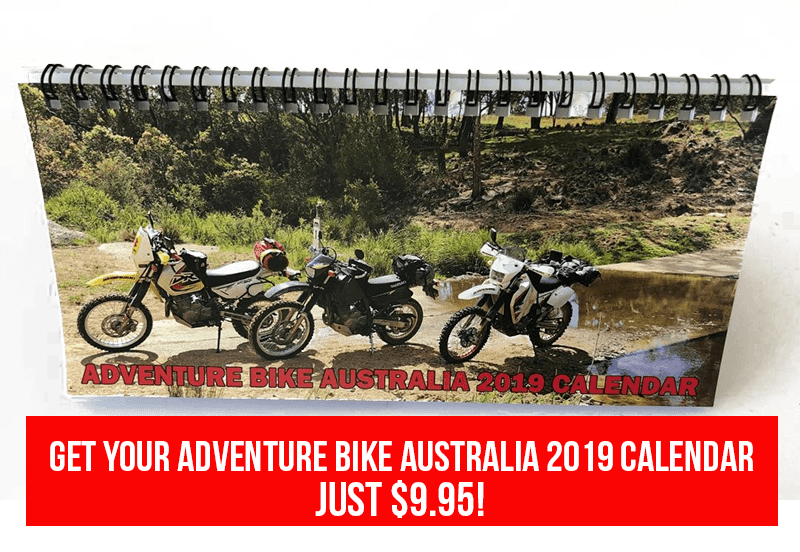 They’re still in the thick of things with their on-line store Adventure Bike Australia, and while we were ordering a few parts Mal jolted us back to the mid-1990s when he told us he had a Suzuki Freewind.